Jocelyn Brown is the author of One Good Outfit and several short stories, including ‘Miss Canada,’ which won the Journey Prize. Formerly a costume maker and crafts instructor, she occasionally hosts free DIY workshops in Edmonton, where she works at the Alberta Cancer Board. 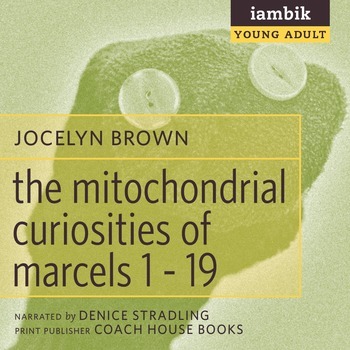 The Mitochondrial Curiosities of Marcels 1 to 19 is her first book for teens.